What does your website say about your farm or ranch? Trust Angus Media to develop an interactive, eye-catching layout that reflects the quality of your cow herd. Best of all, we incorporate data straight from the American Angus Association, providing unrivaled accuracy for information presented online. 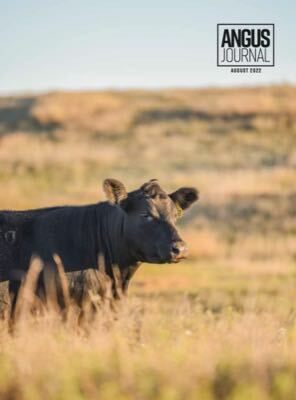 As an entity of the American Angus Association, Angus Media is directly linked with the latest data from the Association's vast suite of expected progeny differences (EPDs) and $Value indices — ensuring that you'll receive the most accurate information straight from the world's largest beef breed database. A responsive web design, meaning one that adapts across desktops, smartphones and tablets, is the only way to ensure potential customers are seeing the information you want them to see, how you want them to see it. Our websites are fully responsive, adapting to any device for optimal experience. Let us create the ideal online page for your cattle operation, including up-to-date performance data straight from the American Angus Association. We specialize in rich digital media, offering videos and more engaging content that keeps customers on your site. Angus Media-hosted websites are also promoted through our site directory, where users can quickly search breeder sites and find your website among the nation's Angus producers. Contact our team for a specific quote to meet your needs. If you already have an Angus Media-hosted website, let us refresh your current design to better define your business. In the process, we will make sure your page is mobile-friendly: a must in today's digital environment, where over 50 percent of web views come from a smartphone or tablet. The same performance principles you use within your herd apply to digital marketing. An Angus Media website gives you access to web metrics and statistics unlike anything provided in the livestock marketing field. In addition to website design and development, we offer the complete array of services you need to execute an online strategy — from domain registration, site hosting and individual email solutions. Need new photos taken or want to develop video? Angus Media's team of professionals can gather the content to make your website stand apart. Call or email our web services team today to get started with or update your website. Interested in other Web services?